Branch side table lends to the organic feel of this space. 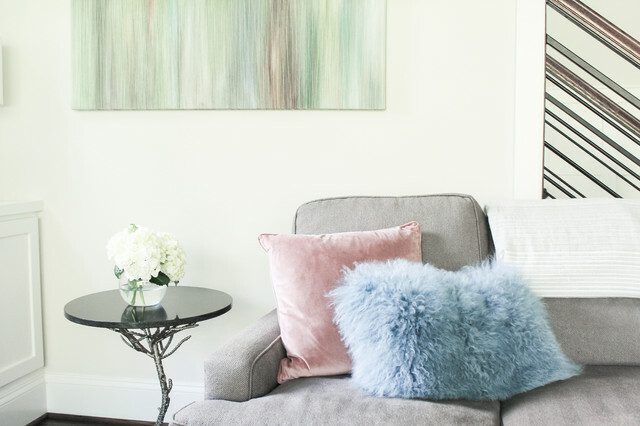 The artwork provided a jumping off point for the throw pillows and accessories to complete the look. Moroccan Trellis Shag Natural Rug, Natural, 8'6"x11'6"